Update: As of the 12th, I was unable to replicate these results again which given the lack of official information on these changes, confirms it as an experiment. It will be interesting to see if and when these changes go live for real. On Google+ Andreas M. Hahn posted an interesting screenshot. It was the result page on Google.de for his company’s URL, syncing.net. On this search engine results page, the sitelinks for syncing.net were in two columns, with title, URL and description listed. 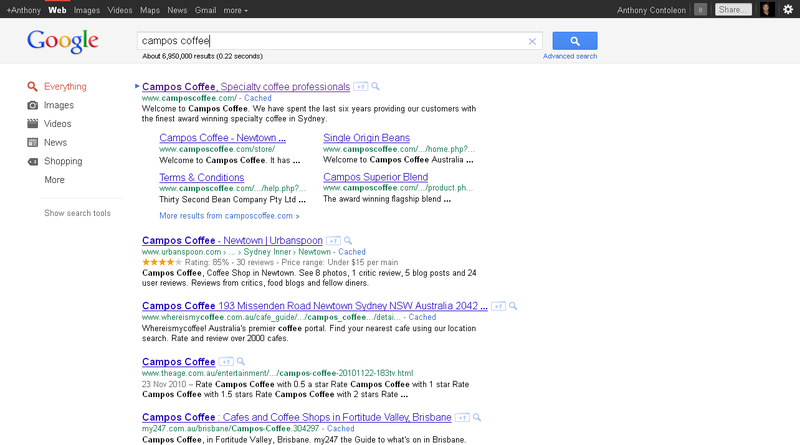 After a few searches on Google.com.au, I noticed that the expanded sitelinks appeared on brand searches as well as URLs. 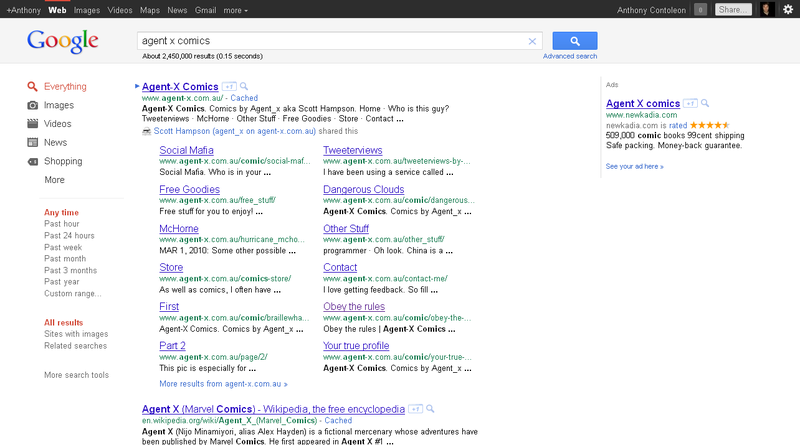 In fact, the expanded sitelinks seem to only appear for search terms that can be considered purely navigational. The expanded sitelinks are no longer displayed once additional terms are added to the query, even if they are relevant to the site and the subject area. Well, most of the time. 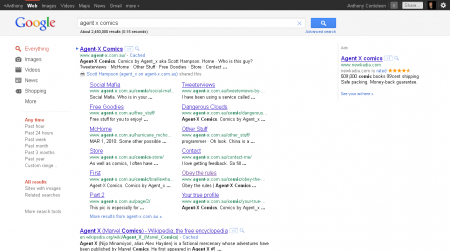 Brand or Search Engine Result Page? 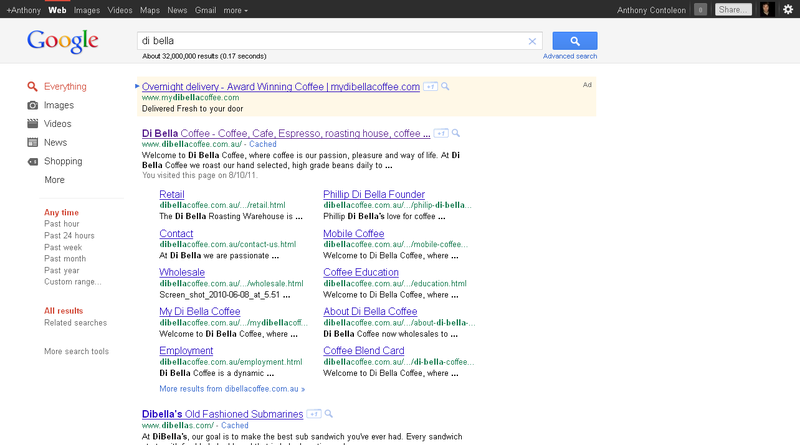 Some brands continued to display the expanded sitelinks even after additional qualifiers were added to the search. 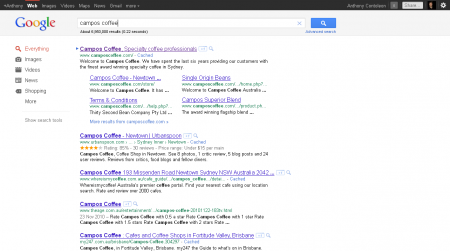 After entering a number of different queries across a number of different brands, some had the enhanced sitelinks appear on more searches than others. It seemed that the brands most likely to display this behaviour were those I already interact with in some way through Google. Side-by-side comparisons between queries on a signed-in browser and on a ‘clean’ (not signed-in, fresh and cookie-less) browser appeared to confirm this. The range of queries that would trigger the extended sitelinks on the clean browser was significantly smaller than when signed into Google’s services. This change seems to be in line with user behaviour. Search is taking the place of the address bar for a lot of people who are either returning to a site they know, or are searching on a name or brand they encountered elsewhere. 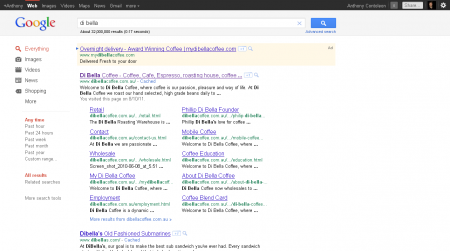 Search is used as much as a navigational tool as it is for information discovery. Google’s personalisation of search will make it hard to judge the effect the enhanced sitelinks will have, but it can at least be tracked for just brand and URL searches. It will be interesting to see how inbound traffic will be distributed by landing page over time for brand term. Now is probably also a great time to have a look at your Webmaster Tools profiles and remove any sitelinks you would prefer not to display.